National training reports have highlighted that medical and dental education extends well beyond learning the technical aspects of these professions and should also focus to a major extent on the development of a doctor’s or dentist’s professional values, attitudes and behaviours. These reports indicated that the ability to communicate effectively, empathise, lead, follow and be diligent and conscientious are capabilities that all doctors and dentist should develop. Leadership and teamwork capabilities constitute one of these important domains. 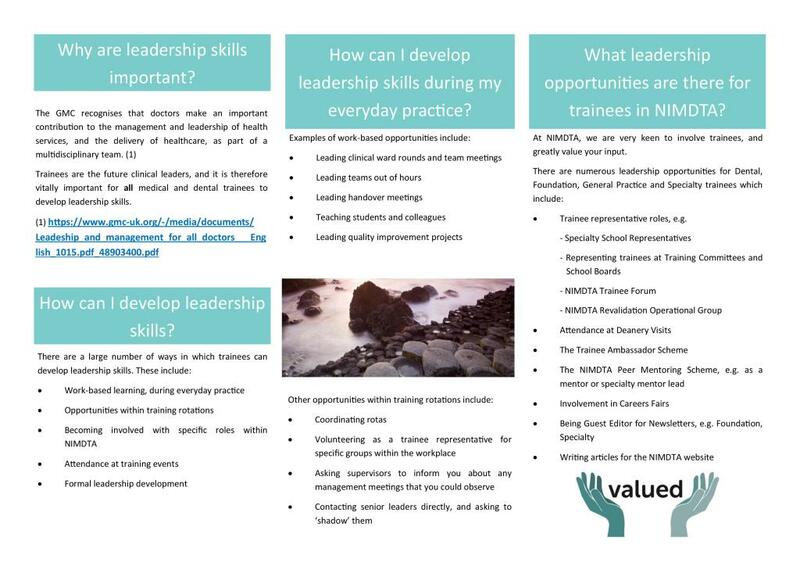 NIMDTA is committed to providing trainees with training in and opportunities to develop leadership and teamworking skills. 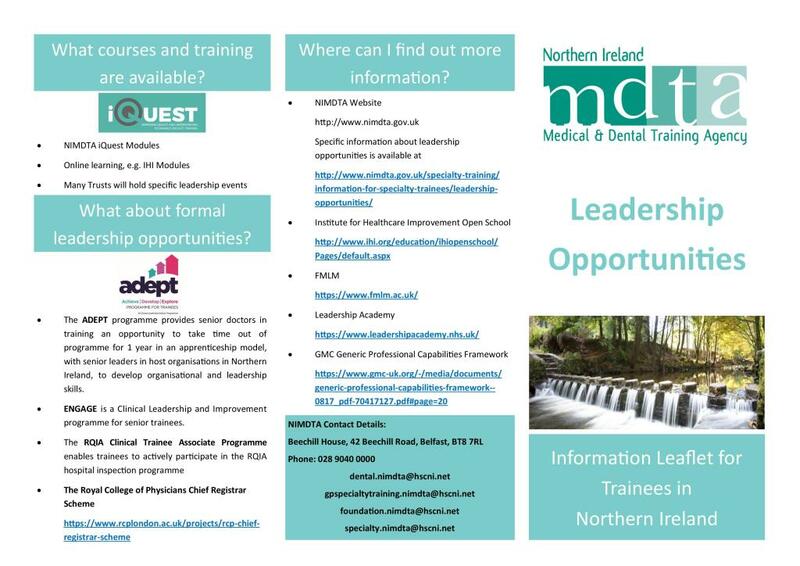 ADEPT Clinical Leadership Training: This is open to GP trainees entering ST3 in August 2016 and hospital specialty trainees entering ST4 level or above in August 2016. Currently there are eight ADEPT Clinical Leadership Trainees. These trainees take a year out of programme when they are placed in a host organisation, work on projects under the supervision of that host organisation, attend a leadership development programme and receive coaching and mentoring.